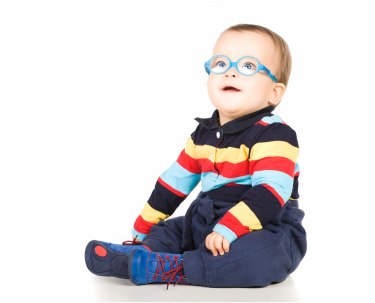 As consultants with many years of experience with children's eye conditions, we can provide your child with the best possible eye care, whatever the problem may be. For parents who suspect that their child has an eye problem, a timely consultation with a paediatric specialist can provide peace of mind and much needed information. We provide consultations and treatments which will fit around you and your child. When a child has more complex eye problems, parents find it reassuring to know that the right expert is caring for your child from the outset. Our child friendly approach means that we get the most from children of all ages. This ensures that the experience is enjoyable rather than stressful for your child. Some questions and some vision tests with a children’s vision specialist (orthoptist). A glasses check by a paediatric refraction specialist (optometrist). An examination by children’s eye doctor (consultant ophthalmologist). For many children the initial appointment will be the first and last. For some we will prescribe glasses or other simple treatments. For others the future might include additional tests, regular follow-up appointments, medical treatments or surgery. As many as 1 in 6 children have a visual impairment of some kind. For many, this can be as simple as requiring a pair of glasses. For others, this can include squint (misalignment of the eyes), amblyopia (lazy eye), allergy, complex inherited eye problems and many other conditions. The vast majority of children can be cared for with simple supportive treatments but others will need much more complex care over many years. We aim to prove a one-stop first appointment wherever possible, in a timely fashion, within a uniquely equipped and child friendly facility. For these reasons, most children are seen in the paediatric department of eye unit at University Hospital Southampton. Appointment times are flexible and can often fit around other commitments such as child-care and school runs.